I think this month’s VHCO BeeBox is my complete favorite so far! 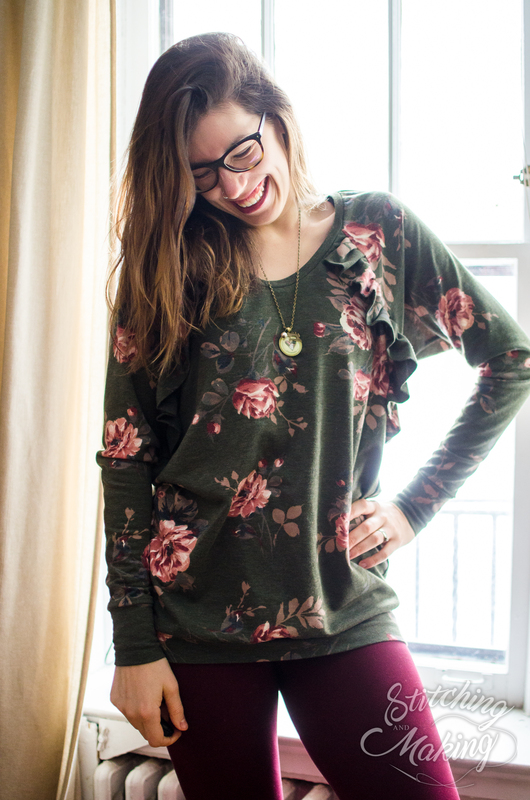 The colors are very earthy and the fabric is a french terry with a nice mid-weight to it. 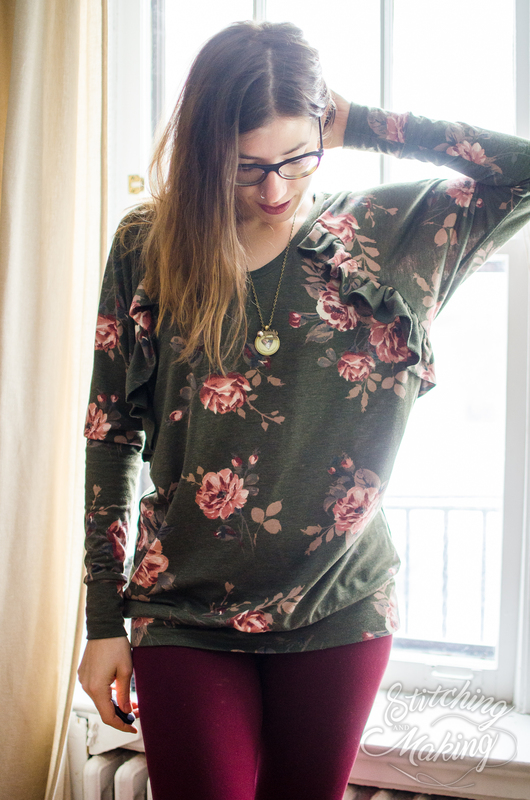 I love the pop of pink/maroon too! It has a very vintage vibe. 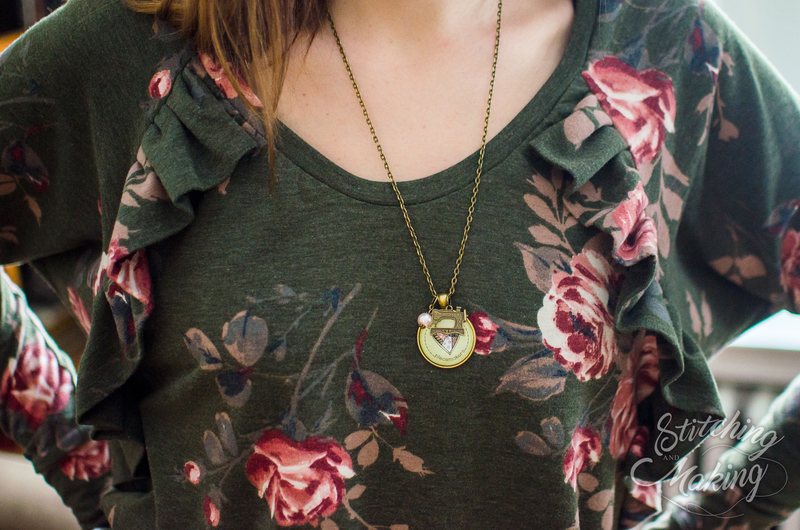 First, grab your Ragdoll Raglan pattern. Then, cut out all of the pieces as you normally would. If you’re also doing the open back like I did, assemble the top and bottom back pieces as instructed in the pattern. 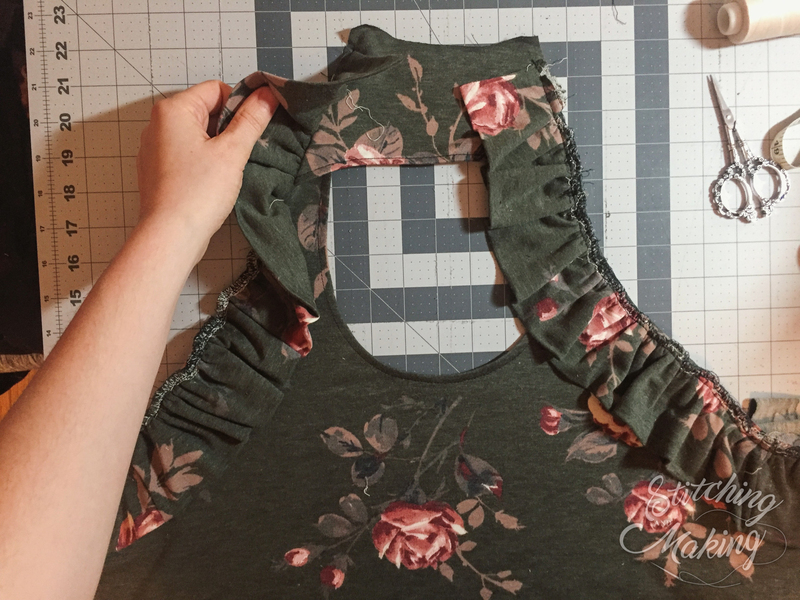 For your ruffles, you’ll be cutting four rectangles for the front and back ruffles. 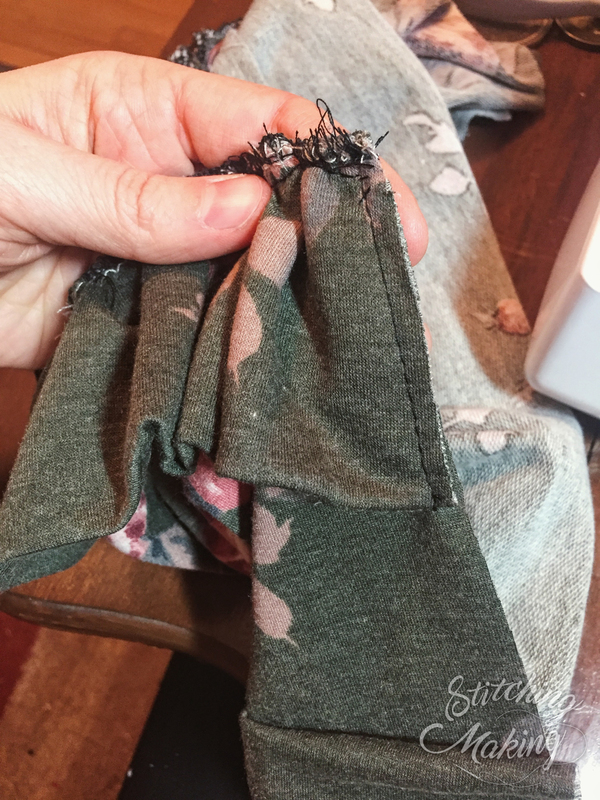 Your rectangles should be 6″ tall x two times the length of each raglan seam. For example, my front raglan seam (size M) is 12″. I cut two rectangles 6″ tall by 24″ long. For example, my back raglan seam (size M) is 15″. I cut two rectangles 6″ tall by 30″ long. 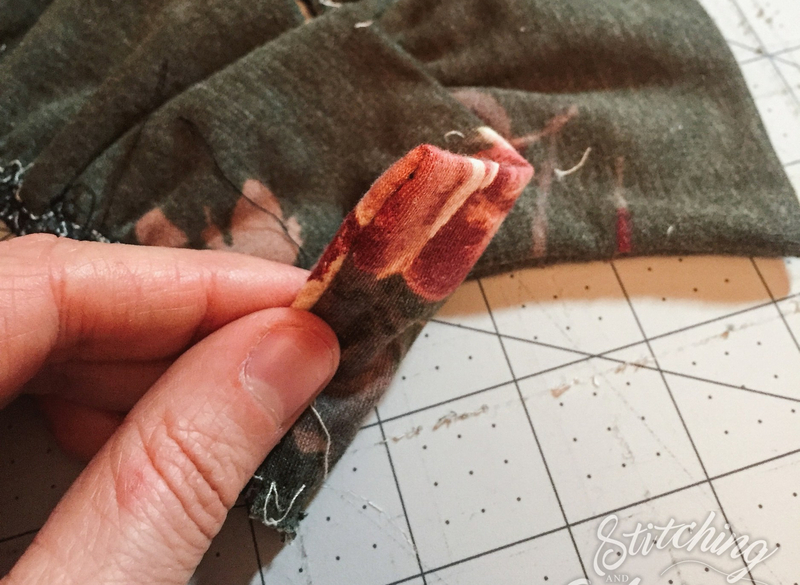 Finish one edge of each piece by folding the long edges together right sides together and stitching one short edge. Turn back wrong sides together. 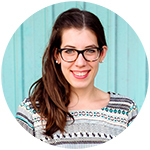 Take your rectangles and press them in half long sides together with right sides out. Now gather the rectangles so that they are the same length as your raglan seams. I choose to gather on my serger. Pin the front ruffles to the edges of the front piece with ruffles pointing down, finished short side at the top. Baste to the front piece. Baste the unfinished short side into the side where you will sew the side seam to make sure it gets fully sewn inside. Sew the sleeves to the front and back pieces as instructed in the pattern. Then sew up the side seams as well. 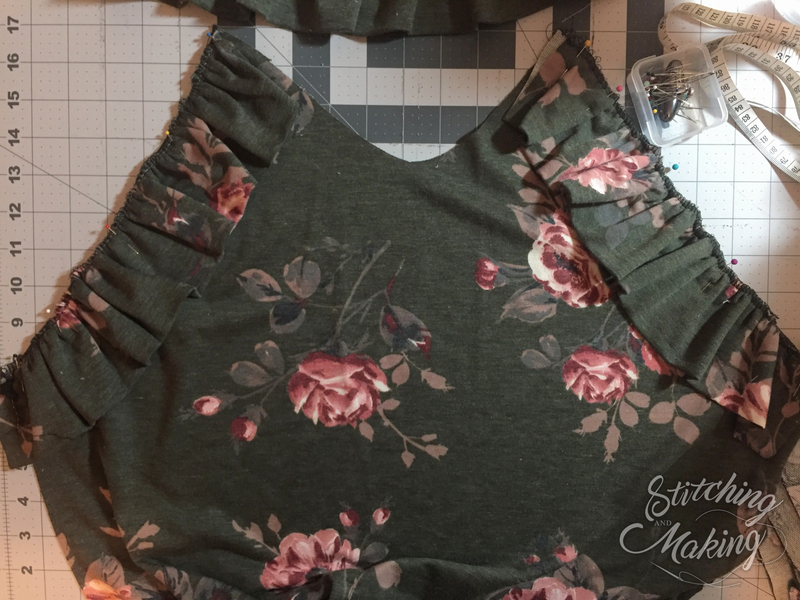 Turn down the finished short side at the top in both the front and the back so that it’s hidden a bit under the ruffle. Tack down with a zigzag or straight stitch. I choose not to just include this in the neckband seam because I didn’t want the added bulk there. 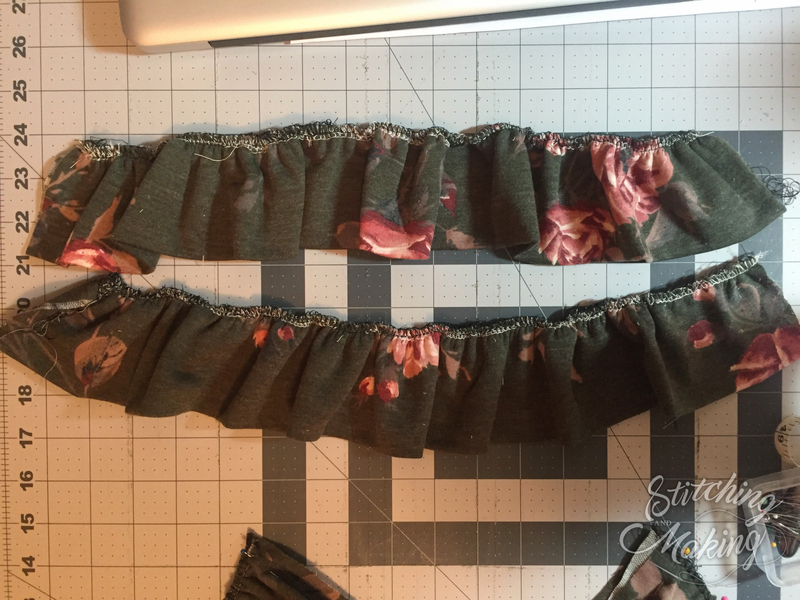 Depending on your fabric bulk, you may also want to tack down the ruffles every few inches or so along the front and particularly the back. This will just help them lay better. 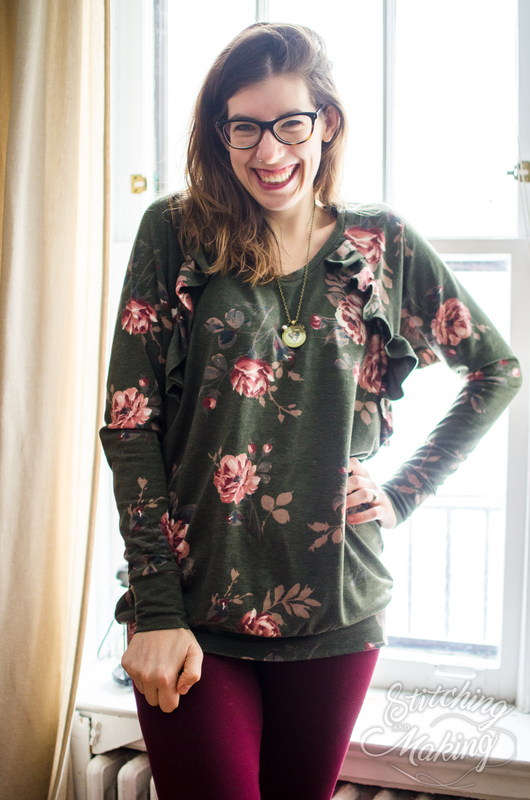 Now finish up the raglan as instructed in the pattern – and you’re done!! I’m completely in love with how this turned out! Always a good thing when your vision comes to life. 🙂 Let me know if you try this out yourself, I’d love to see your versions too!